Proof again that many ‘good things come in small packages’. 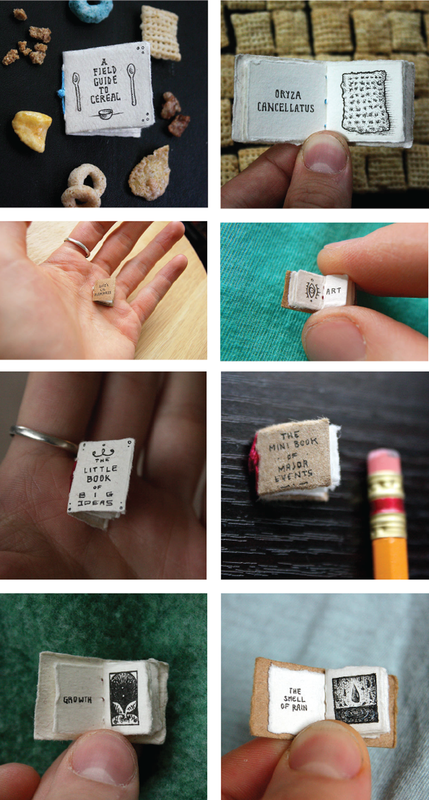 Take these incredible tiny books created by Colorado-based illustrator and animator, Evan Lorenzen. The seven-page books are hand sewn and are no larger than 1 inch tall. The small illustrations in these one-off books are done in pen and ink and to date there are seven books in this series. Anxious to see his next edition. Images: Courtesy of Evan Lorenzen.